The fit out at Sake is modern with great use of colour, timbers and textures, drawing you in to a world of chic ambience. The menu is set to please a wide range of tastes (I've seen families with children at Sake). 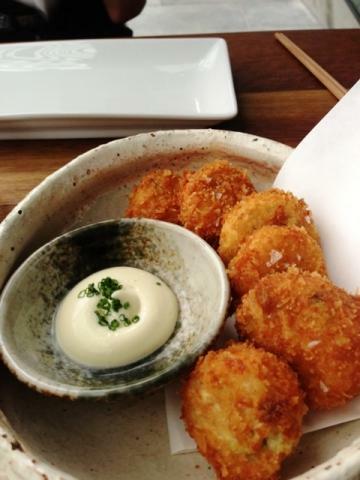 The panko rice balls were crispy and delicate - panko-fried rice balls with soy bean, bamboo & shiitake mushroom balls served with wasabi mayonnaise. We declared them to be a winner. 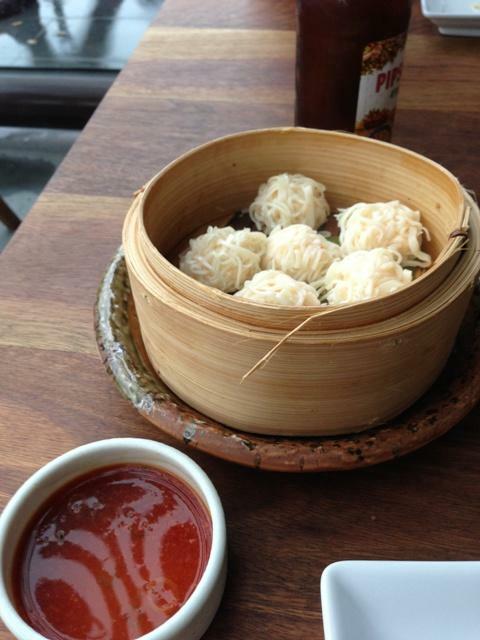 Next we enjoyed steamed prawn dumplings - 6 pieces of Chinese-inspired shumai with spicy ponzu served in a bamboo pot. Sake prepares sublime dumplings and these were an unusual texture and not without some kick with the spicy sauce. Sake also delivers when it comes to karagge. I eat this stuff all over Melbourne and love it. 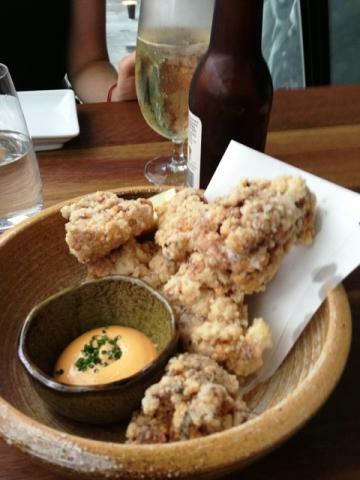 Sake serves up crispy chicken karaage fried chicken pieces served with salsas & sauces. Delectable. We both ate our meal with a choice cider and it was perfect for pre-show. I'm hoping to come back soon for a banquet to try some of the signature dishes such as popcorn shrimp, wagyu teriyaki and the kingfish. Celebrating one of the finest cities in the world. David Hagger is a man with a penchant for finery, convivial dining, and festive culture.